Omkareshwar is a Hindu temple dedicated to God Shiva. 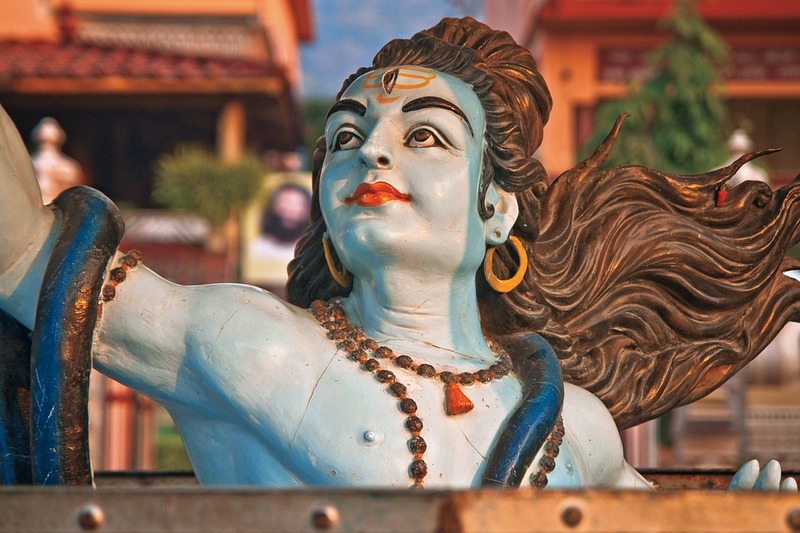 The name Omkareshwar means ‘Lord of Omkaara’, which is one of the 12 shrines dedicated to Lord Shiva. 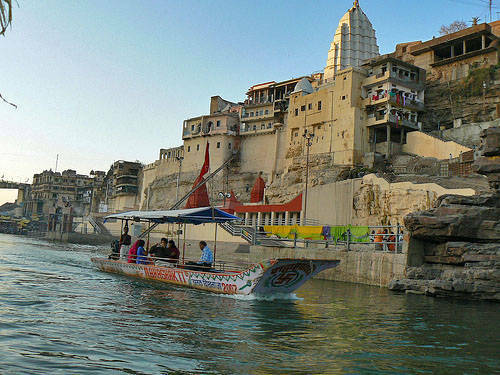 This holy place is a riverside pilgrim destination in Madhya Pradesh located on an island, the meeting point of Narmada and Kaveri River, making a must-visit pilgrimage destination for Lord Shiva devotees and leisure travellers alike. The most exquisite detail is that the island is said to look like the Hindu ‘Om’ symbol. The island comprises of lofty hills, between which, river Narmada forms a serene pool. Folklore and history enhance the charm of this holy place, bringing back the child-like wonder; the kind you experienced only by listening to the stories from your dear ones. As per mythology stories, when Narad, the great prophet, visited the Vindhya mountains and found no Shiva dwellings and the deity belonging to the mountain created the holy place as a dedication to Lord Shiva. It is said that Lord Shiva visited Omkareshwar to sleep or take ‘Shayan’ every night and hence the holy people make sure to perform the ‘Shayan Arti’ every now and then. For more details, you can contact any Kesari tours representative. The entire area of this holy place is surrounded by mountains, making for an enchanting view for tourists. During the end of their holy journey, Hindus come here and offer holy water in Omkareshwar, in order to complete their pilgrimages. Don’t miss out on exploring the elegant sculpted Siddhanatha Temple in Omkareshwar, which is embellished with wonderful elephant carvings around its base. You’ll get charmed by the stunning architecture and striking mural paintings & carvings of the place. Be sure to gorge on the breakfast thalis, delicious lassis and fruit salads while at Omkareshwar. To create your itinerary, get in touch with Kesari tours and witness a pilgrimage like never before.